Traveling to foreign countries for longer periods of time is always a great experience, especially because you have a chance to really get to know the culture and to meet new people. Making friends abroad might often be a challenging task, however, it is easy if you play Ultimate Frisbee. If you still believe that playing frisbee means that people just randomly throw a frisbee in a park, you should better check the rules out…. 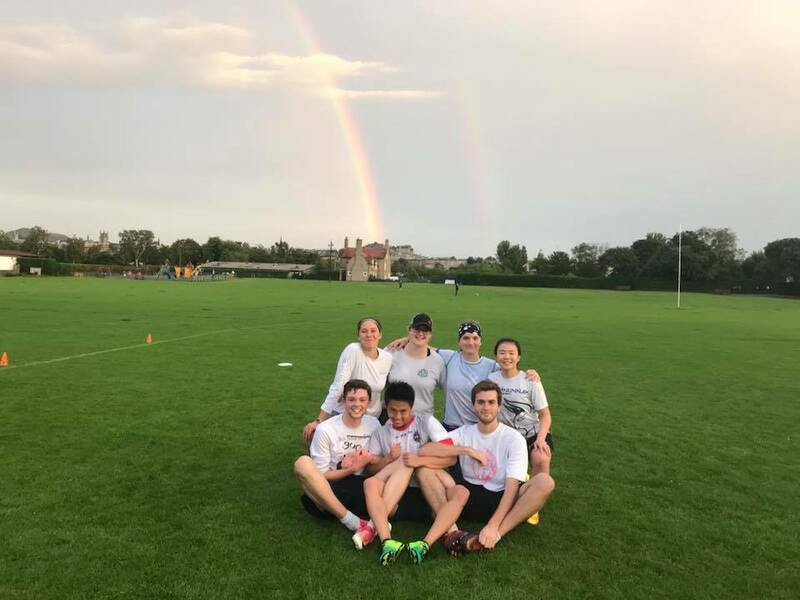 Ultimate as a self-refereed sport is based purely on the Spirit of the Game and because it somehow brings together people with alike thinking it is so easy to make friends. 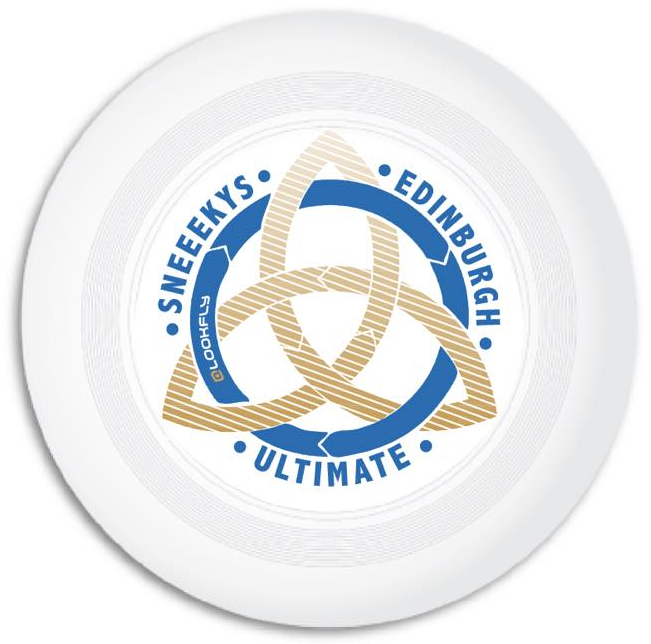 All you need to do is literally shout out Ultimate Frisbee (… and maybe to check local Frisbee Facebook page). My first experience with Frisbee in Scotland was a bit hectic. Just on a Tuesday evening I managed to join a pick-up team for the Summer league that was starting on Wednesday. So the next day I went to a park I have never heard of before, to play a match with a bunch of people I have never met before. Guess what? Yeah, we lost the game. Maybe also because we could barely recall each others names. To fix the problem with names and also to supplement the calories burned, we went to a pub for a burger and a beer. Over the next 5 weeks of the League we won 2 games, finished up 4th (out of 6 teams) and consumed dozens of burgers together. Team White after the last game of Summer League. 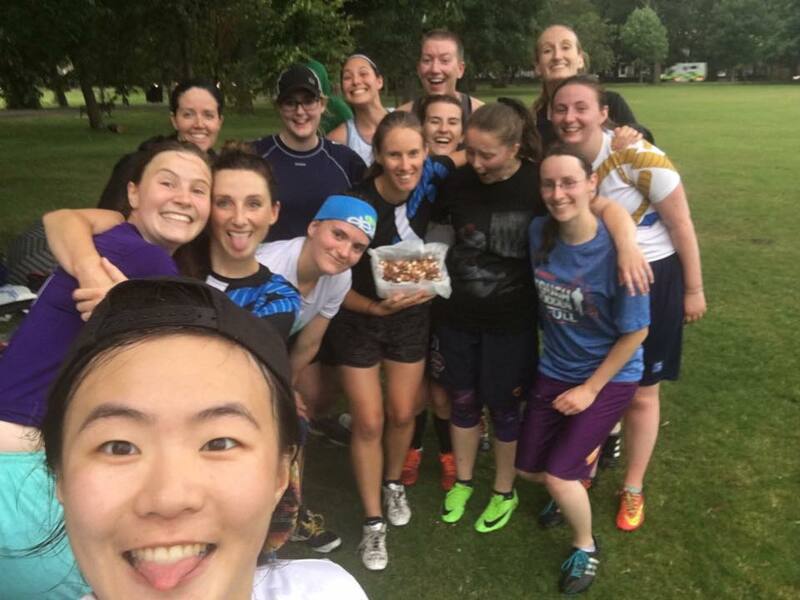 Selfie with delicous hand-made cookies we got after training. Twice a week there are regular training sessions happening in Edinburgh. One restricted to women only and the other one open for anyone. These take place at Meadows park, a huge open-access park just in the middle of Edinburgh with a beautiful view of Arthur’s seat as well. Surprisingly, all these trainings had a great quality and we got some highly experienced players to lead the trainings, everything for free. 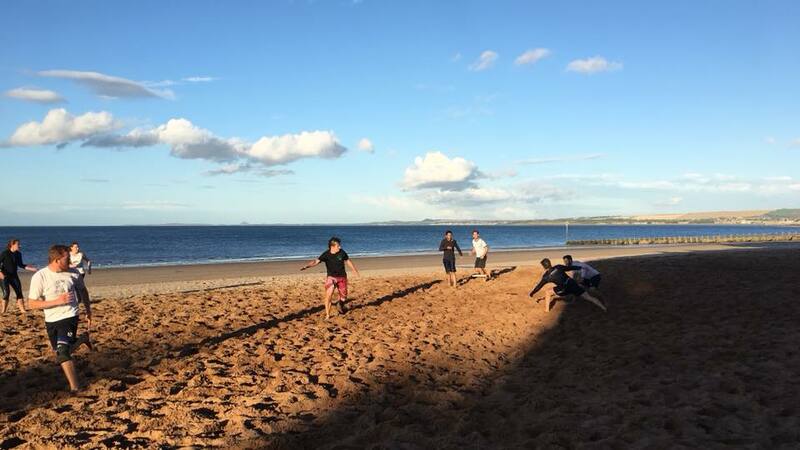 Definitely the best part of Ultimate in Edinburgh is the beach. I have mentioned how beautiful Portobello beach in my first blog post and it gets even better if you get to play Frisbee on the beach. If the weather allows, there is a pick-up game happening twice a week, players of all levels are most welcome. As romantic as this sounds it also has a downside. By the end of the game you have sand everywhere, even in your ears usually and even a short swim in the North sea we had after each game does not really help to get rid of it. After a couple of weeks in Edinburgh, I thought that playing here only is not that adventurous any more and decided to explore the UK Ultimate scene a bit more. 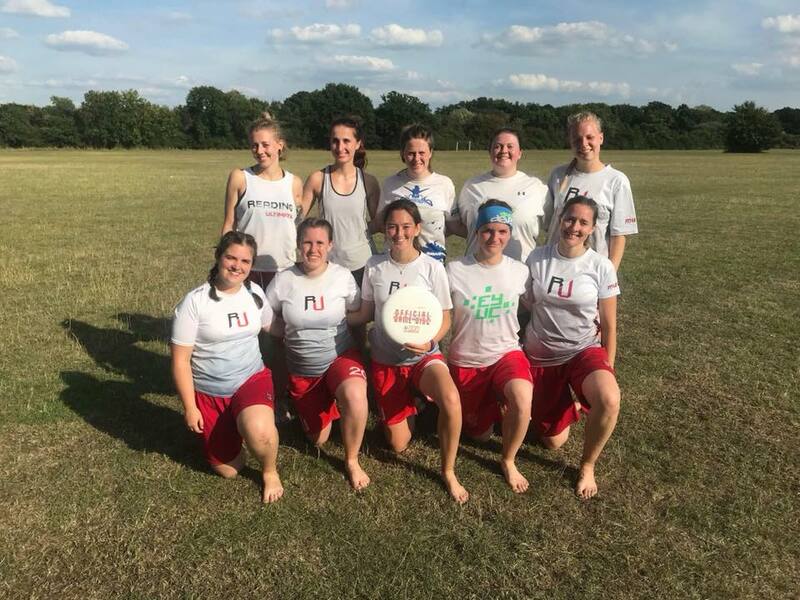 A frisbee friend of mine helped me to get in touch with the captain of the Reading womens team and just a week later, I took off from Edinburgh and landed at Gatwick to get a lift with Avril (who I’ve never seen before) to Edenbridge where the tournament took place. So the treat of this summer for me were actually the flight tickets. No regrets at all. It was amazing. Two days of high level Ultimate and unbearable heat, two nights in a sleeping bag on a floor in a Scout Hut, all with people I met for the first time in my life. Unforgettable experience! Reading 2 at UK Regionals in Edenbridge. Hello! My name is Eva and I come from the heart of Europe, the Czech Repubic. I am currently finishing my Masters degree in Numerical and Computational Mathematics at the Faculty of Mathematics and Physics, Charles University in Prague. This summer I will be working on the project Parallel Computation Demonstrations on Wee Archie as a part of the Summer of HPC program. The first time I bumped into HPC was during the first year of my Masters, just about two years ago. Parallel computations became one of the main interests of my studies and ever since then I have been trying to discover new things from this field. The biggest passion of my life besides my studies is sport. I enjoy running, swimming, hiking, skying and many other sports but most importantly I love the sport of Ultimate Frisbee. Moreover, I enjoy puzzle solving, travelling around the world and getting to know foreign cultures.